What a lamp! 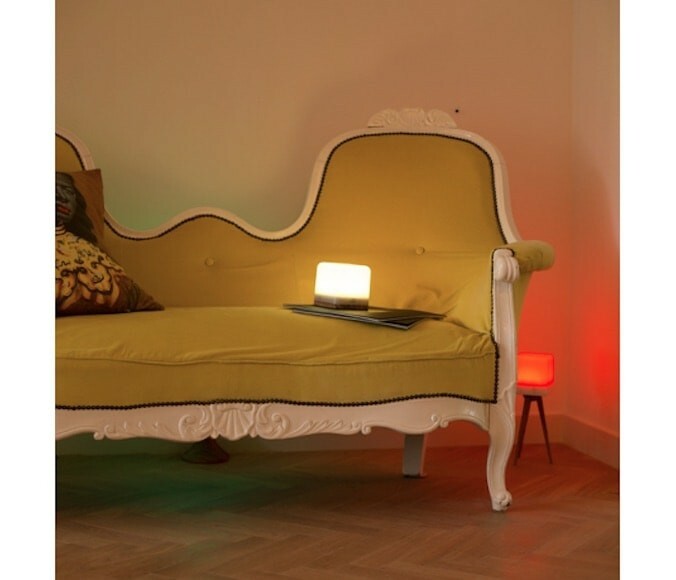 With the portable Lucis lamp, you choose from 16 million colours and three atmospheric lighting programs. 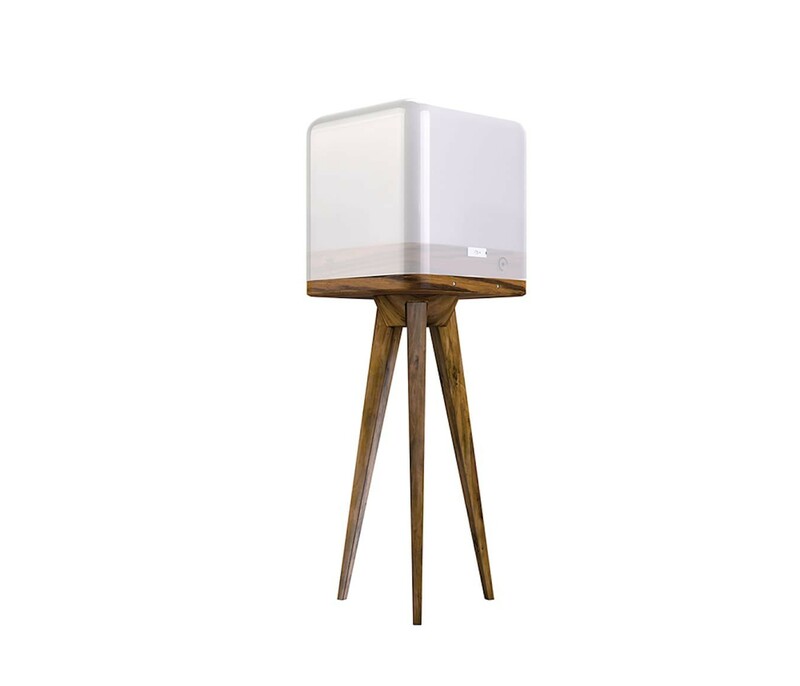 And this Dutch design lamp is also wireless. So you take it conveniently with you wherever you go: the terrace, the park, your friends or your new date. This one has a Zebrano wooden base. Don’t look for a button to switch the Lucis lamp on an off, just shake the lamp three times. Cool! The possibilities of the Lucis LED lamp are quite endless. With the Lucis lamp, you can choose from 16 million colours and three lighting programs. What’s your choice? Cool blue or romantic pink? Mystic purple or northern lights green? There is always some colour that matches your mood. Torch: gives the brightest light in the dark. In this position, the Lucis LED lamp spreads 100% white light. 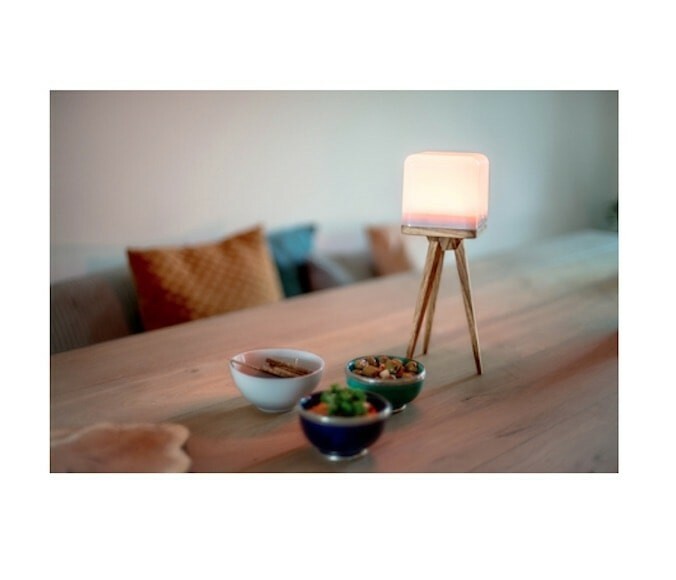 Lava: with this program, the Lucis LED lamp gives warm lava-coloured light that slowly changes colour. And that makes the Lucis super Handy, inside on the table, outside on the terrace, on the boat, on the road and on holiday. The Lucis LED lamp lights up your evenings' en nights up to 80 hours -depending on the battery type enlighting program used - before you need to charge it. 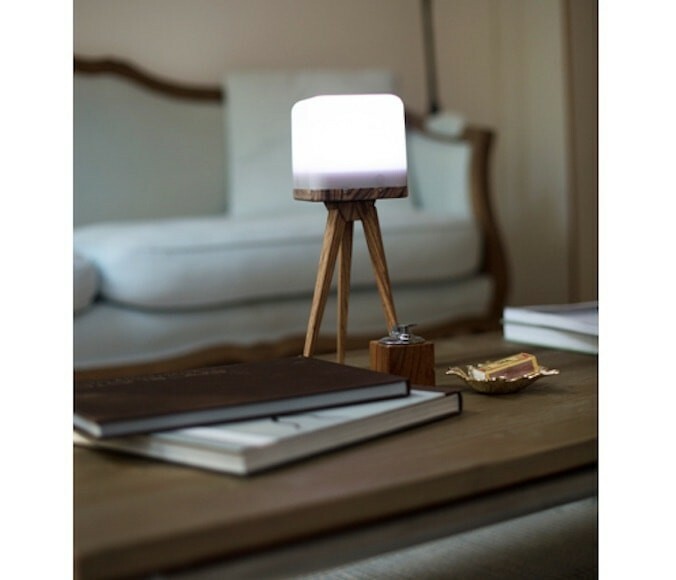 With the optional Lucis Zebrano wooden tripod, the Lucis LED lamp gets an even more characteristic appearance. The light is then about 22 cm higher, which allows for better light distribution. Shake sensor: Shake the Lucis lamp three times up and down to switch it on or off. 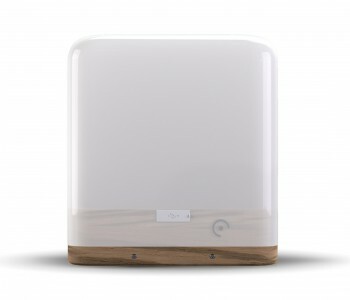 8000 mAh battery: The battery of the Lucis lamp has a capacity of 8000 mAh (Lucis Lite 4000 mAh) and is fully charged after 4 hours. Splash-proof: The Lucis lamp is splash proof. No problem in taking it with you to the beach. Better not take it under the shower or hold it under water. It’s ok to clean the Lucis lamp with a damp cloth. Simon Koop is a pretty versatile Dutch designer. From his design agency Koopmedia, he is both working on product design as with graphic and web design. In addition to the Lucis design work, Simon is for years one of the designers of the exclusive Dutch sports car brand Spyker. To make the market introduction of the Lucis LED lamp come true, the initiators Simon Koop en Lardy van der Pal made use of crowdfunding. Via the Indiegogo platform, their company Innovative Brands was able to raise over 60% of the target sum within a day. By the end 2015, they had gathered almost 1.5 x their target amount. In February and March 2016 the first Lucis lamps were handed to the ‘backers’. Now the Lucis is also available for a broader audience.